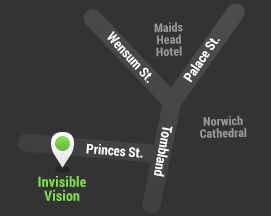 Welcome to Invisible Vision Ltd. Established in 2007, we are dedicated to making the invisible visible for the scientific, medical and industrial research communities. Image courtesy of Dr. A.R.Prescott and Nikon Inc.
With over 30 years experience in the field of high speed imaging, from IR, UV and X-ray framing and streak cameras, CMOS, III-V and CCD technologies, image intensifiers and shutter tubes, Invisible Vision has an unrivalled pedigree in the application and supply of imaging solutions. Invisible Vision recognizes the power that modern non-invasive analytical imaging techniques can bring to researchers in the bio-medical, biochemistry and environmental disciplines. We are actively involved in research and development to bring to market new techniques with particular emphasis on drug discovery and environmental monitoring. 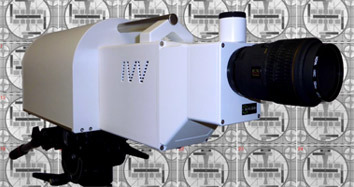 The large range of UVi and Super UVi camera intensifers are designed to add low light, extended spectral range (from UV to NIR) and fast gating in a compact and all inclusive lens coupled package. 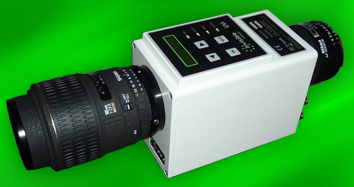 Typical applications are in combustion, electric discharge, biomedical and ultra high speed stroboscopic techniques in conjunction with high speed or conventional video cameras.